Beth Graue, UW–Madison professor and education researcher, is the founder of CRECE. This week, the Center for Research on Early Childhood Education, also known by the acronym CRECE (Spanish for “it grows” and pronounced “cray-say”), launches as the latest research project at the Wisconsin Center for Education Research. Specifically, the new center will support cross-disciplinary research, critical policy analyses, high-impact teacher education, professional development for current and next-generation early childhood education researchers, and outreach to the early childhood community. Amy Claessens, a newly hired associate professor and the Gulbrandsen Distinguished Chair in Early Childhood Education at UW‒Madison’s School of Education, is partnering with Graue to lead the new center. Claessens brings a rich skill set in advocacy and lobbying for early childhood education policy, and has extensive experience as a researcher working directly with teachers, families and home-based childcare providers. “It is a great opportunity for me to be part of building something in early childhood education from the ground up that will be really important on campus, in the community and in the state,” says Claessens, who worked previously at the University of Chicago’s Harris School of Public Policy. CRECE’s immediate goal has been to cultivate research partnerships with other scholars. “Having partnerships that have strengths across domains is the only way we are going to be able to make a change,” says Graue, who is working hard to build a community of scholars with shared interests through weekly seminars, small research grants and semester-long visiting scholarships. Already, CRECE has built strong ties with another WCER project, the Madison Educational Partnership. MEP and CRECE are collaborating on several studies involving 4K and 5K programs, including a Spencer Foundation-funded study on how 5K students transition to kindergarten in the Madison Metropolitan School District. One of the keys to the success of the center will be to engage graduate students. “A huge issue in the early childhood education field is determining who are the next generation of educators and scholars,” says Claessens, emphasizing that it will be a priority at CRECE to prepare students to be leaders in the field by exposing them to a diverse range of views on early childhood education and research methods. Traditionally, most universities have focused on the teacher education component of early childhood education. However, CRECE researchers believe studying young children in all the settings where they live and learn is an important part of the early-learning equation, too. 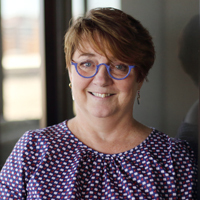 Beth Graue is a former Kindergarten teacher, Sorenson Professor in the Department of Curriculum & Instruction and a researcher at the Wisconsin Center for Education Research. She is widely regarded as an expert in early childhood research, specifically in the areas of school readiness, preparing pre-service teachers, class-size reduction and mathematics instruction. Amy Claessens joined CRECE in fall of 2018, when she became a member of the Department of Educational Policy Studies. She has worked extensively on the nature of kindergarten curriculum and instructional practice. She is also part of the Development and Research in Early Mathematics Education (DREME) team, an interdisciplinary research group studying how children learn mathematics in the early years and how teachers support that learning.